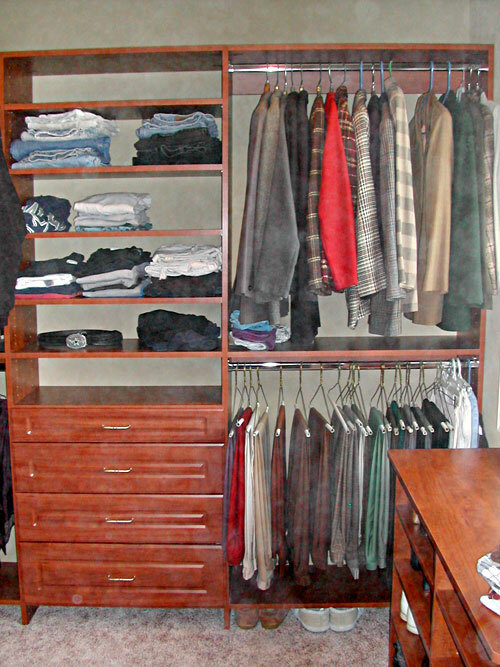 Take a walk through our custom closet that was designed and installed in a Yardley, PA. This custom closet was designed by the Lang's Kitchen & Bath design team. Keep it all neat, tidy and organized! The organization that the Lang's Kitchen & Bath design team and Plus Closets can create will change your every day life! Your closet needs can be designed just for your wardrobe with hanging spaces for suite, jackets, pants; shelving for sweaters and shirts; and drawers for the drawer things.